In discussions about the Nordic countries, many mention social democracy, as social democrats rules the three Scandinavian countries for decades in the 20th century. 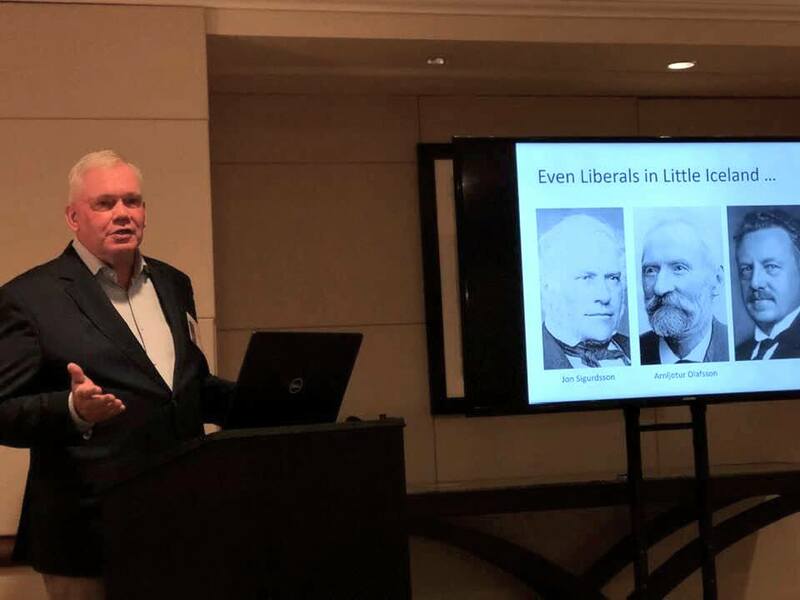 However, there is indeed a strong liberal tradition in the Nordic countries, Professor Hannes H. Gissurarson argued in a paper he read 6 April 2019 at the annual conference of APEE, Association of Private Enterprise Education, on Paradise Island in the Bahamas. Gissurarson recalled that Swedish-Finnish priest Anders Chydenius had advanced a theory about the harmony of private interests and the public good before Adam Smith; and that Swedish statesman Johan August Gripenstedt had in mid-19th century contributed greatly to the first Swedish Model of economic freedom and enterprise. This first model led to tremendous progress: In 1870–1936, economic growth in Sweden was the most rapid in the world. The second Swedish Model was pursued by the Social Democrats in 1970–1990, with high taxes and extensive redistribution, but it proved to be unsustainable, and the Swedes are now following the third Swedish Model, reducing taxation and providing more scope for private enterprise, even if they have not abandoned generous welfare provisions. Gissurarson pointed out that Jon Sigurdsson, the leader of Iceland’s struggle for independence, was a classical liberal, as was clear from his many magazine articles. The authors of the two first books on economics in Icelandic, Arnljotur Olafsson and Jon Thorlaksson, also were committed classical liberals. Gissurarson gave an account of the extensive liberal reforms in Iceland in 1991–2004, privatisation, tax cuts, strengthening of pension funds and an opening up of the economy as a result of membership of the EEA, European Economic Area. He argued that the success of these reforms was best demonstrated by the fact that Iceland recovered quickly from the severe blow of the 2008 bank collapse.